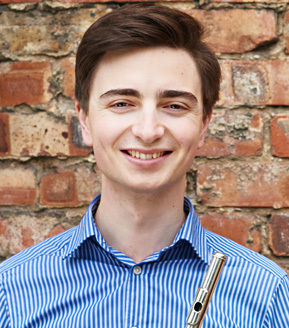 A committed teacher, Thomas works with students on a private basis and on several summer courses (the Flute Kitchen, Harrogate; the London Flute Academy), having previously taught for King's College London and the Dragon School (Oxford). He has DBS clearance (formerly CRB), and is a member of the Musicians' Union. He also holds a licentiate in instrumental teaching (LRAM) from the Royal Academy of Music. To arrange a lesson, simply contact Thomas directly, either by e-mail or telephone (07866 279551). If tuition is desired in one's own home, a fixed travel fee can be agreed in advance. Alternatively, lessons can be arranged at the Warren Room at All Flutes Plus on Warren Street. As a member of the MU, Thomas has public liability insurance and access to specialist teaching seminars and events.